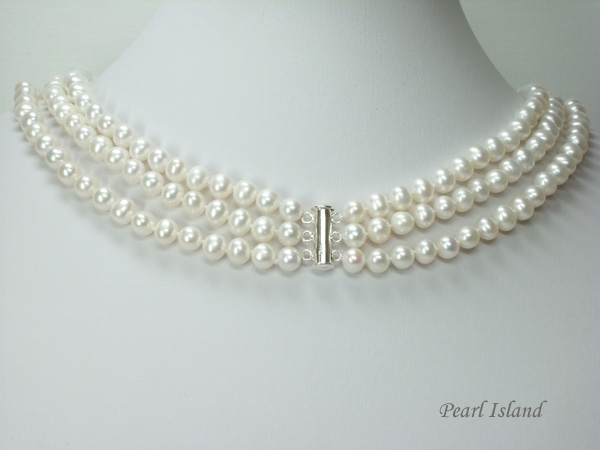 Prestige 3-Row White Freshwater Pearl Necklace - These are carefully selected from the finest Chinese freshwater pearls, which have near round shapes with high lustre and have natural blemishes. 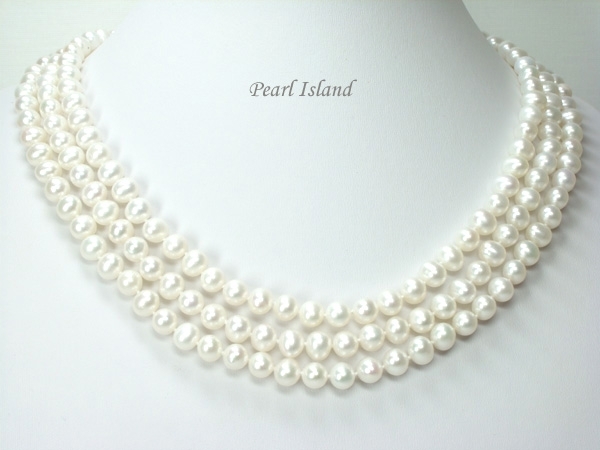 It gives a regal look for any outfit or occasions. 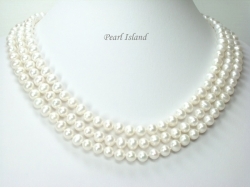 This necklace is made to order, this means you can have your preferred length, just email us: service@pearlisland.co.uk.